This document explains how to utilize the Creative Commons search to ensure that images you add to your L2P 2.0 letter or video submission are licensed for sharing and modification. Searching with this tool allows you to avoid any copyright infringement issues when adding photos to your submission. This document also gives tips for how to properly give credit for images found online. These instructions should be helpful for students and teachers alike. 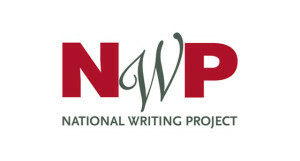 The National Writing Project focuses the knowledge, expertise, and leadership of our nation’s educators on sustained efforts to improve writing and learning for all learners.